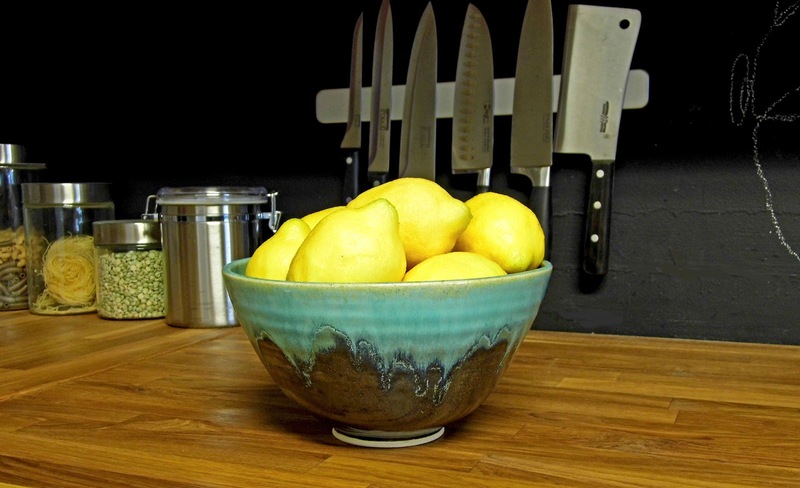 Fresh Coat of Paint: Handmade Pottery: The Perfect Finishing Touch! 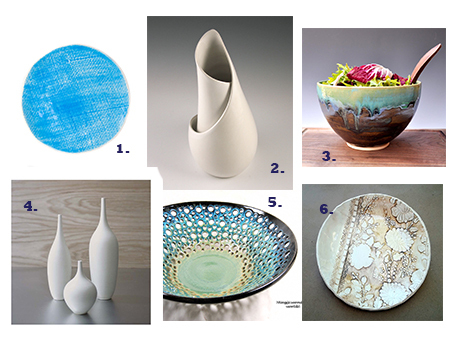 Handmade pottery has always been one of my favourite staging accents and, while always classic, it was just listed in House and Home's 2013 list of Editor's Must-Haves. 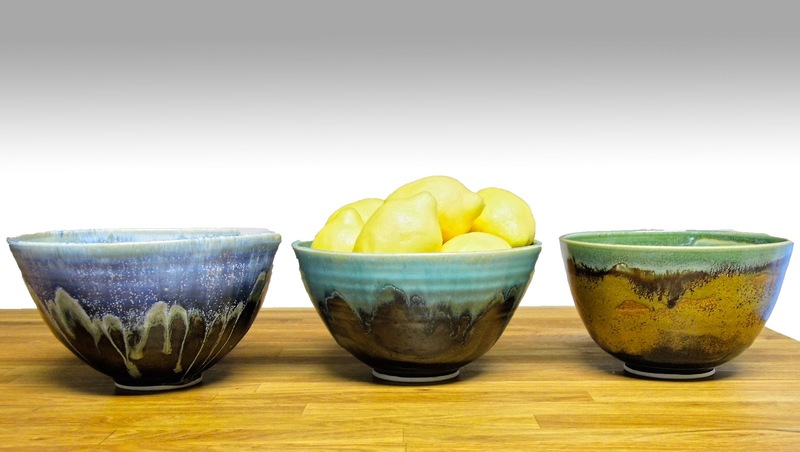 Whether the look you want to achieve is playful, modern, sophisticated or even industrial, carefully chosen handmade pottery can add an organic touch or a touch of colour to finish the look. 1. Burlap Textured Tapas Plate from Leif. 2. Conversation Piece in White No.4 - Sculpture in White from Kimwestad. 5. 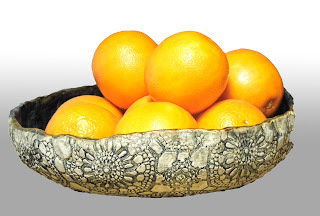 Large Decorative Lace Bowl from Ning's Wonder World. Now that my condo is listed for sale, I am using some items from my staging closet for my own home. My twist on the traditional bowl of fruit in the kitchen incorporates unexpected fruits like citrus (instead of just apples, although I use those too) and some colourful pottery nesting bowls (all three are shown left) from Lee Wolfe of One Clay Bead. I had them commissioned a couple of years ago since I wanted nesting bowls that could also be used for staging. The variety of sizes and glazes makes them versatile photo props for many of my listings and I also use them constantly for baking and serving. My kitchen is very modern with black cupboards and stainless steel appliances but I like it to feel warm as well. Part of this is achieved through the butcher block counters but the colourful accents help draw the eye in. 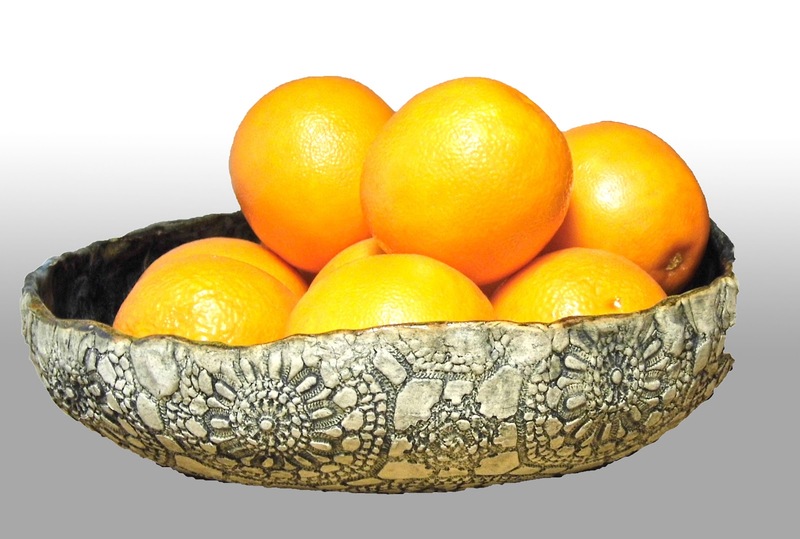 Once I saw my nesting bowls, I contacted the same artist asking for something larger with a lace textured detail. The lace bowl (left) is asymmetrical, rustic and huge and yet, it (for some reason) looks perfect in my modern kitchen. Finally, I think the trick is choosing a fun contrast between the other accent colours in the room. I've never liked a room to be too "matchy-matchy" and, the kitchen lends an excellent opportunity to experiment with colour as we are still following a cohesive theme: food. 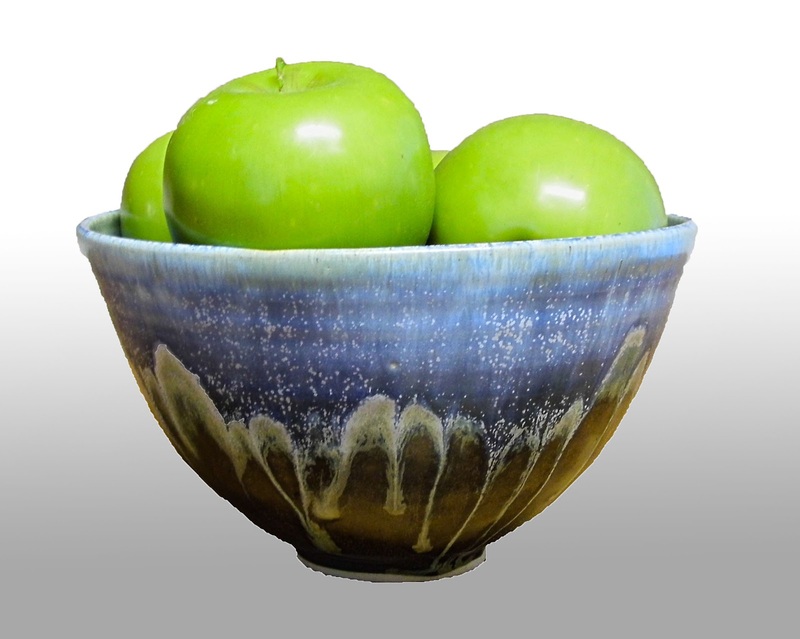 My green apples in my blue and brown bowl don't technically match anything in my home and yet, they look great on my counter! And if you're curious about how often I buy fruit for staging, the answer is... never! We only buy fruit to eat...or bake with. The fruit in these pictures is the frighteningly realistic (I have to remind clients not to eat it) faux fruit which is usually available online from Crate and Barrel. Great trick, right?